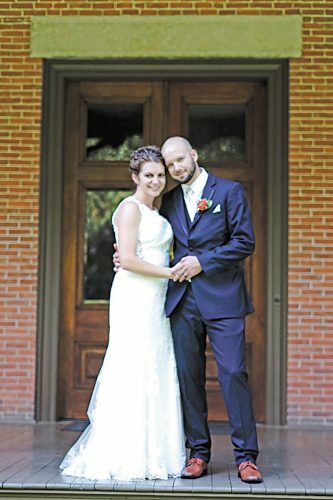 Emily Marie Perry and Craig Louis Genet exchanged wedding vows Aug. 14, 2015, at St. Joseph Catholic Church in Tiffin, with the Rev. Joseph Szybka officiating. A reception followed the ceremony at Meadowbrook Ballroom in Bascom with music by The Late Show. The bride is the daughter of Roger and Jane Perry of Tiffin. The groom is the son of Steve and Fran Genet of Tiffin. 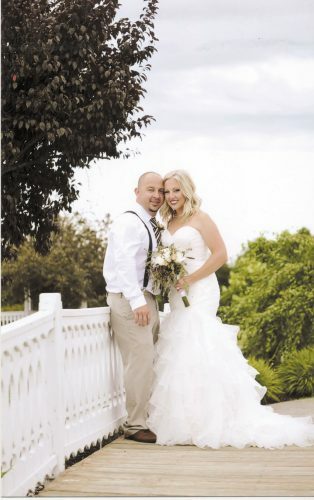 The bride wore an ivory, off-the-shoulder, lace gown with crystal overlays and a beaded satin belt. Bridesmaids wore sleeveless, navy, knee-length, chiffon dresses and carried gold and navy bouquets. Maid of honor was Kaitlin Perry of Tiffin, sister of the bride. Bridesmaids were Kimberly Smathers of Scott AFB, Illinois, friend of the bride, and Catherine Genet of Akron, sister of the groom. Best man was Michael Genet of Kansas City, Missouri, brother of the groom. Groomsmen were Keith Genet of Toledo, brother of the groom, and Zach Szablewski of Seattle, friend of the groom. 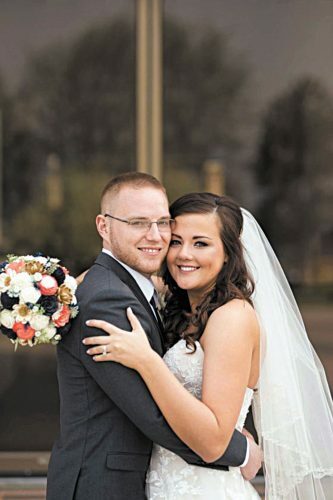 The bride, a 2008 graduate of Calvert High School, graduated from Walsh University in 2012. She is a registered nurse at Springfield Regional Medical Center. 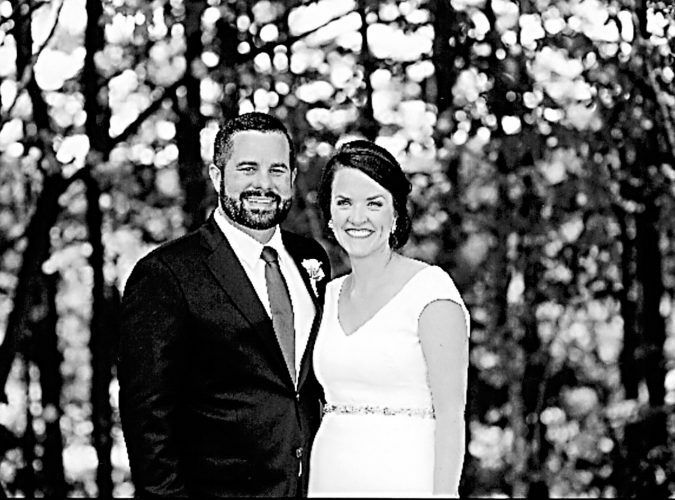 The groom, a 2008 graduate of Calvert, graduated from Ball State University in 2012 and Miami University in 2014 with a master’s degree in architecture. He works at McCall-Sharp Architecture. 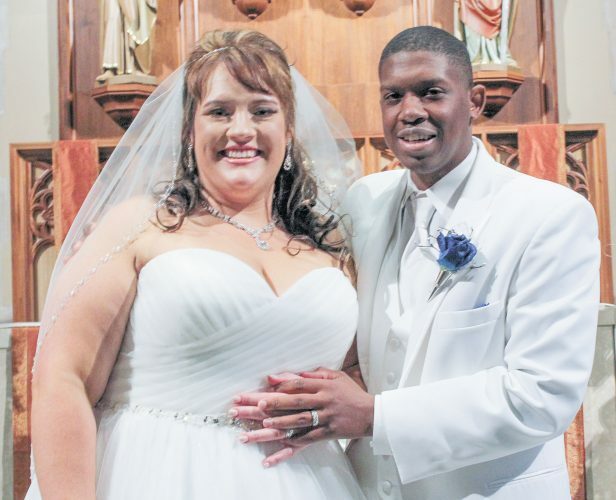 The couple honeymooned in Punta Cana, Dominican Republic, and lives in Springfield.